There are a plethora of young artistic designers putting wild products on the fashion scene, but Jeremy Scott creations stand apart. Jeremy Scott is a wild and relentless designer. His whole persona is built around his desire to design outlandish merchandise. He has collaborated with huge brands, and his recent work with athletic label Adidas is garnering worldwide attention. 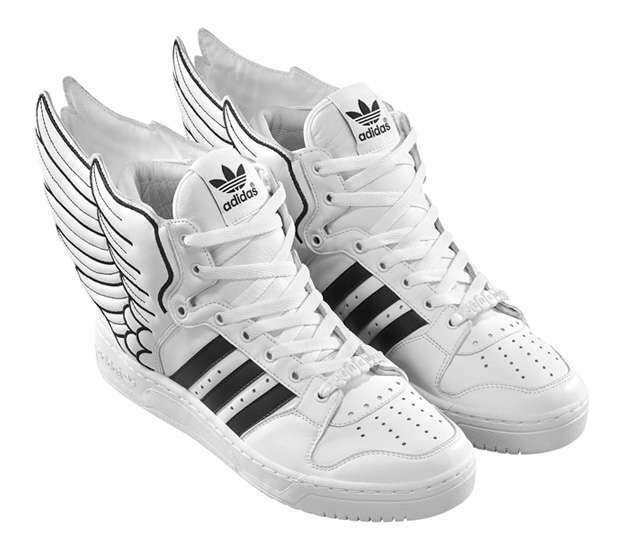 In particular his winged and wacky footwear is selling out like crazy. These shoes are bizarre, bold and for those who dare to be different. Fantastic and mind-blowing design concepts include black kicks with wild flame adornments, transparent sneakers, and who can forget the metallic Icarus-inspired shoes? This freaky footwear makes a statement and will garner more than a few stares. 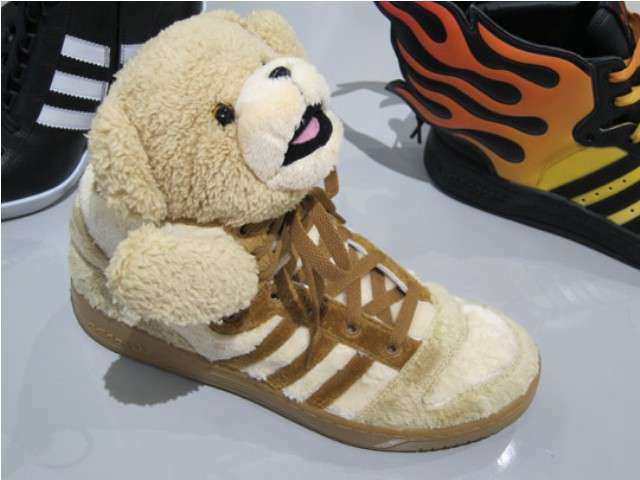 Jeremy Scott creations are crazy, fun and continuously push the boundaries of conventional fashion.